The first thing you need to know about the Twitter IPO is that it’s over. It finally happened in 2013 and the company – and public – are both moving forward. Still, there’s quite a bit you can learn about Twitter – and the rest of the web – when you take a closer look at the social media network and see what happened before, during and after their IPO. Before the Twitter IPO, the company wasn’t cash flow positive. Still, many people wondered if their valuation and initial stock prices weren’t too low. When you take a look back at the Facebook IPO, it’s easy to see how some tech companies are able to value their company at many times their revenue levels – even if they’re not profitable. During the Twitter IPO, the social media company was still not making money. This affected their stock price a little bit, but people still bought and hold onto the stock, hoping it would go up in value over time. Gradually, the stock prices have been going up steadily week after week. They’ve experienced some dips, of course, but in general their stock price appears to be headed in the right direction. As you might have guessed, after the Twitter IPO the company was still not making profit. They continue to bring in revenue, but they can’t monetize their efforts effectively. This is actually why a lot of people hire a social media consultant to help them with sites like Twitter, Facebook, Google+ and others. 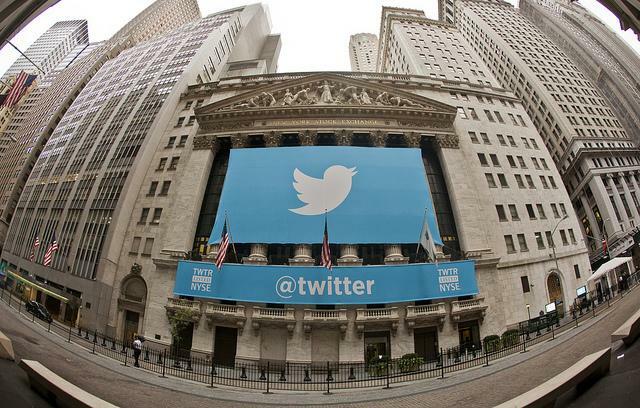 Should You Buy Twitter Stock? Last but not least, here’s a look at some specific things to think about before you purchase any Twitter stock. ● Revenue – The first thing you need to look at closely before you decide whether or not to buy Twitter stock is their revenue stream. They’re bringing in a lot of money, but they’re also spending quite a bit of money every month to keep it going. ● The Future – On the other hand, looking at the big picture and the giant network Twitter has built, it’s easy to see how they could become profitable soon. And when that happens, their stock price is going to go up considerably. Whether or not you buy Twitter stock is up to you, of course, but the biggest piece of advice for this or any other stock is to stop and think about the whole situation carefully before making a decision. There’s nothing worse than following the crowd and getting burned in the stock market. We’d like to hear from you, so if you have any opinion on Twitter stock prices or their IPO earlier this year, let us know by writing a comment and sharing your thoughts. Tech IPOs are strange in a lot of ways, but they’re also very exciting and have helped a lot of people make money over the years. Maegan Pulman is a freelance IT consultant and technology enthusiast. She is active in local and international IT events and is always on the lookout for the latest industry trends.